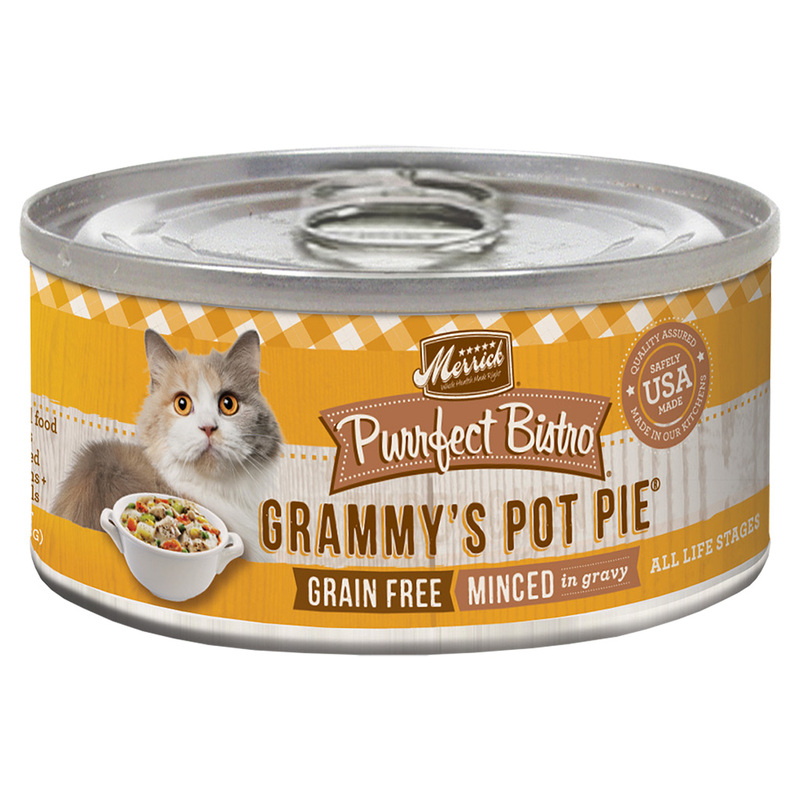 Serve up the kitty version of a classic culinary favorite for your pal with the Merrick Purrfect Bistro Grain-Free Grammy's Pot Pie Minced in Gravy Canned Cat Food. It’s packed with high-protein chicken, mixed with tasty sweet potatoes and peas, and cooked in whisker-licking, hydrating gravy. Loaded with antioxidants to support immunity, omegas for a healthy skin and coat, plus vitamins, minerals and taurine in every bite, it’s sure to fuel all your kitty’s adventures, and then yum! 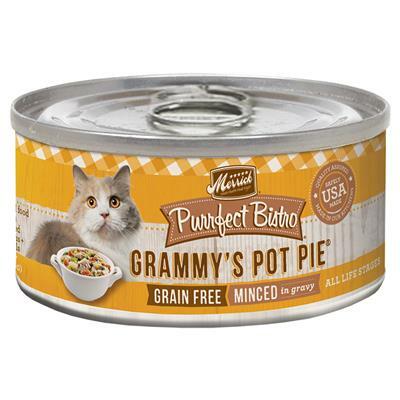 Plus, it has zero grains, artificial colors, flavors or preservatives so you can let kitty dive right into his bowl.